It’s Salman Khan’s birthday today! The Bhai of Bollywood has turned 52! Though he doesn’t look like, isn't it? While I found many posts wishing him Happy Birthday and counting how many times he proved himself the real BHAI of Bollywood, I would like to talk about Salman Khan, a philanthropist. The happily single actor, despite giving blockbuster films one after another, also works abundantly in a space where he is someone very giving, caring and affectionate towards underprivileged people.The actor is very well known for his charity work and has been making headlines on the same. His charity foundation, Being Human, has already got recognition worldwide. You know, in the time of face news, I really feel confused when I heard something unbelievable. And as per a well know media name, Salman Khan spends just 10% of his total income for himself while the rest of it he donates to charities. In one of the TV shows, I heard Salman Khan giving credit to his father Mr. Salim Khan for influencing him. As per the actor, his father hardly spends anything other than basic necessities and this inspired him to follow the similar way of living a life full of good deeds. Since the beginning of his career, Salim Khan had fixed 10% of Salman’s income to be spent for personal need. A part of the balance 90% is used for charity. Now when Salman has his own NGO, Being Human, the rest of his income goes to the same. Salman still doesn’t know how much money he actually has in his account. He maintains a low profile of himself and spends meagrely on his personal need. As a common man, if you are confused, is this even possible to survive on only 10% of earning? Then you must keep in mind that he is not a 9 to 5 employee. He is a megastar and obviously earns in crores. His annual earing is close to 60-70 crores, 10% of this comes to 7 crores and that suffices to live a grander life. Salman Khan also has a passion for painting. And many times, we have seen how beautiful paintings he makes. In 2007, Salman auctioned his paintings and donate all the money earned to a charity organisation. Another love of his life is fitness. If I remember correctly, he is the first one who started showing off his toned body in films. There are many Bollywood actors who proudly say that Salman Bhai helped me in getting the perfect body and a perfect Bollywood break for that matter. As a 50+ man, he gives such big fitness goals to men of his age who mostly prefer breaking couch at home while watching TV and checking their mobile phones. Now coming back to Salman Khan, the big heart man, I read somewhere that his NGO has adopted several villages in Maharashtra and outside the state. The organisation helps the underprivileged kids across India to get a better education. As per Mumbai Mirror report, when Salman Khan was shooting for his film 'Bajrangi Bhaijaan' in Kashmir, he helped a family there. 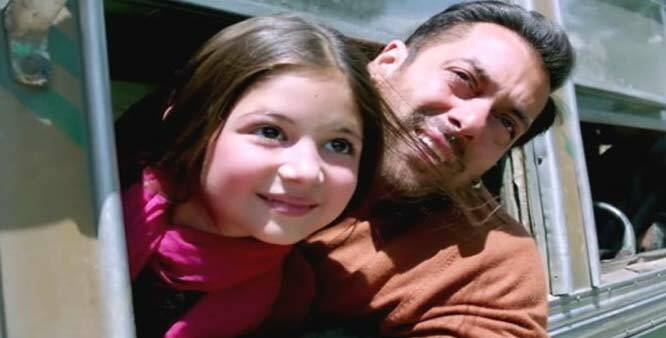 Zaina Begum met Salman when he was shooting in Pahalgam and let Salman know all her problems. The actor apparently helped her eldest grandson, Gowhar Ahmad Bhat with an immediate job and assured the family that they would never want anything else. Gowhar was quoted saying, "Upar khuda hai, neeche Salman Khan". I know his name is involved in many other NO-GOOD cases where he went through court trails and even faced criticism for being a powerful man who eventually got the ball in his court. However, when I read posts like "बजरंगी भाईजान की वजह से धड़कता है कई बच्चों का दिल" I feel, even if he was charged for murder, there are many other lives who exist just because of him. There are many kids who smile today just because of him and there are many hopes still depends solely on him.